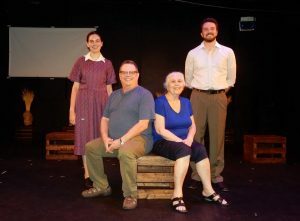 “How Many Bushels Am I Worth?” Hannah Antman (Bena), Kevin Olson (producer and co-playwright), Bena Shklyanoy (author and co-playwright), Alex Ireys (Alex). August, 2018. 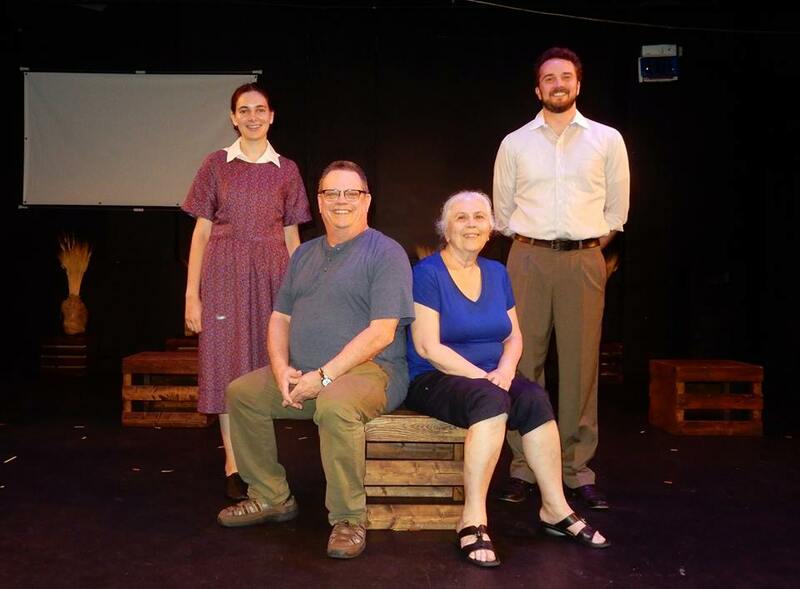 My second theatrical season is over. The number of plays, compared to the first one in Providence RI last year doubled. The number of butterflies in my stomach is not calculated as easily but double does not come close. I shouldn’t call it my season. If not for the talent and insight of my creative partner Kevin Olson and many a happy coincidence nothing would have happened. Is it a coincidence that we scheduled the opening on a day 42 years (forty-one year and eleven months but let’s not split hairs) since we arrived in Chicago? Or that HIAS and the Jewish Federation came to the opening? 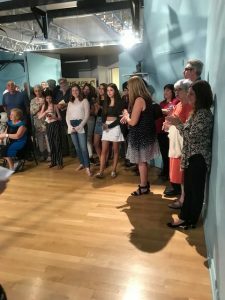 “Apple Does not Fall: The Journey of a Russian-Jewish Family.” Opening night, August 16, 2018. HIAS was the only entry in our address book 42 years ago. We had first heard that word from the Voice of America and thought in the beginning that it was a person’s name, maybe a variation of Haim, that meant, appropriately, life. The Jewish Federation was represented at the opening by the Russian Jewish Division – a long way from the 500-strong Chicago immigrant community that we joined on September 15, 1976. Is it a coincidence that my granddaughter deserved a grant to create a film to say that remembering her roots made her unique? Not in these exact words but let’s not split hairs. Is it a coincidence that this particular cast and crew, every one of them a stroke of mazel, decided to help bring my family story to life? 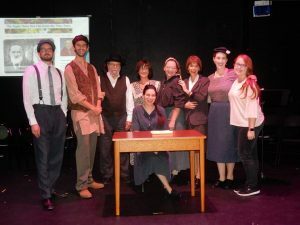 Cast of “And Then What?” Alex Ireys (Leib), Matthew Schufreider (Kutsya), Howard Raik (Avrum), Maggie Cain (Polina), Hannah Antman (Bena), Kelly Levander (Khanah), Heidi Katz (Dinah), Rachel Silvert (Esther), Tess Naval (stage manager). August, 2018. Or that Hannah Antman who played me and I looked identical when we were four years old? Half-century lie between the pictures but let’s not split hairs. The play titles that Kevin authored are questions: And Then What? How Many Bushels Am I Worth? The questions are for you to ponder. The answers will or will not come but keep asking and remember that The Apple Does Not Fall From the Tree, Ever. Thank you all for the coincidences! Smart cookie, Bena. You deserve all of it! Thanks for the vote of confidence, friend. It was and is a pleasure Bena to work with you. Thank you. I don’t take these words for granted. Your amazing journey has led to so many more amazing journeys. Thank you for sharing your story and enriching our lives in ways we never would have imagined. My journey aka Soviet life is quite uneventful, even fortunate, as Soviet lives go. Thanks to you guys I understood how much America needed to see it (reading doesn’t seem to help), not just my children. So, let’s show it to as many as we can!